I haven't made a softy in a good long time. I've made pillows and bags but this is the first softy in a while. 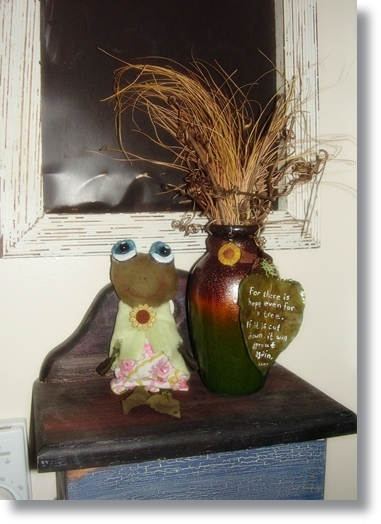 I call her Annie, she's a tree frog instead of a water frog like the others in my personal collection of hand sewn frogs and ducks. As usual, there was no pattern. I winged it. 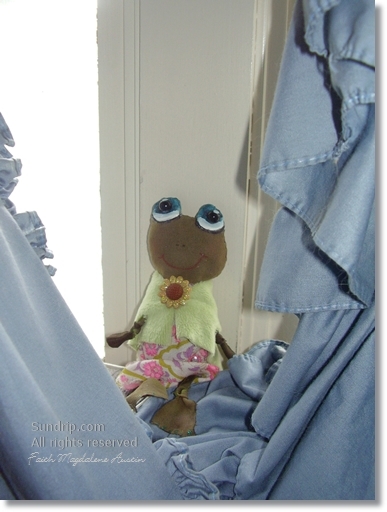 The day I created her I needed some small project that could be done right then and there and finished that very day. I needed to see results, any kind of results and so Annie came to be. 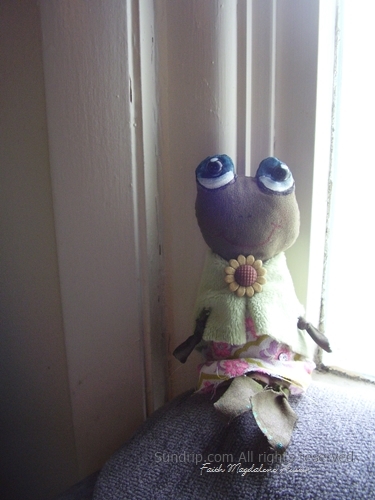 I like to make little frogs.